The Flour and Pantry Moth Trap attracts and captures adult moths such as Indian meal moth, Mediterranean flour moth, almond moth and raisin moth. These insects occur Uncle Jims Worm Farm- your Pest Controll Locationalmost everywhere, and are attracted by grains, flour & pastas. The moths lay eggs in cracks and crevasses near food, such as in shelving, cupboards and pantries. Adult moths emerge and fly about seeking mates. 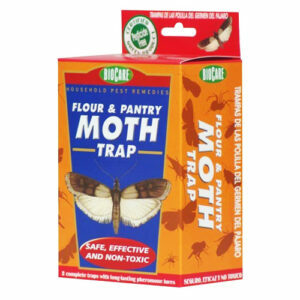 The Flour Moth Lure uses the same chemical messenger (pheromone) that female moths use to attract male moths for mating. Male moths fly towards the scent and are caught in the moth trap. Removing male moths prevents mating and egg laying. Long-term use of the Flour and Pantry Moth Trap will reduce troubling infestations without the use of toxic chemicals. Place moth traps near where moths have been seen. 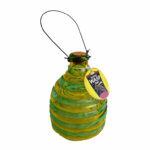 Moth traps are disposable and extremely effective and safe around food products. 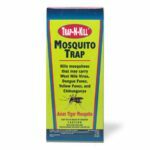 Replace moth traps every 3 months, or sooner if full of moths. 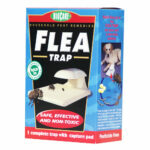 Use two traps at a time, and space them out; they will cover up to 2500 square feet. 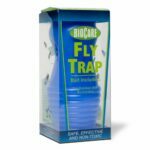 Using more than two traps at a time tend to confuse the male moths making the traps less effective. Box contains two traps. Note: This trap is for flour moths. This lure will not attract Clothes moths. Great company. Love my t shirt.